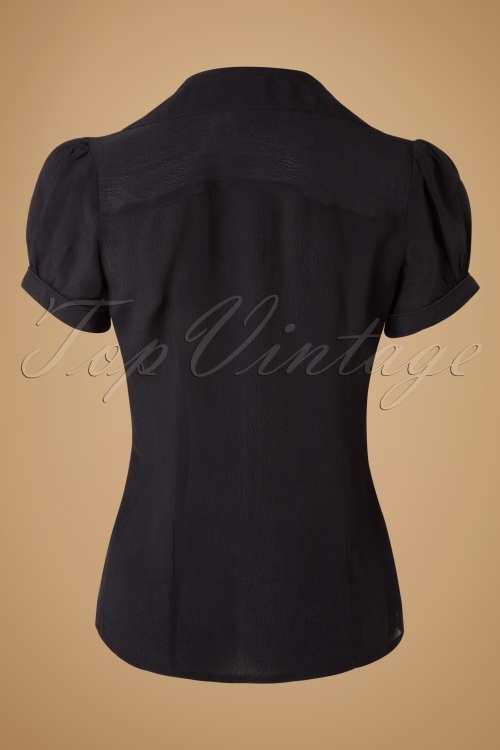 This 40s Judy Blouse in Black Crêpe by The Seamstress of Bloomsbury is an elegant and cute blouse! 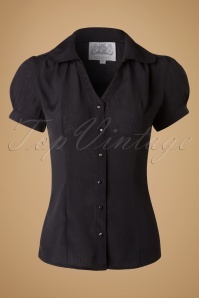 This fitted blouse features an elegant V-neckline, Peter Pan collar and flattering pleated short sleeves. 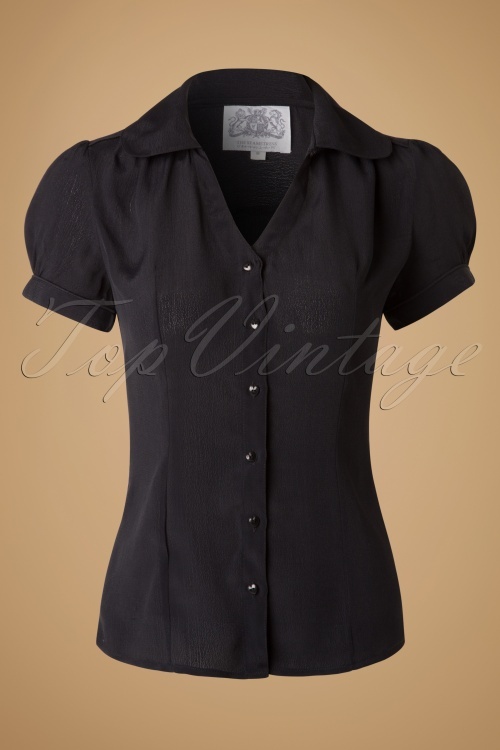 Made from a black rayon Crêpe de Chine which adds to the vintage look and feel of this reproduction fourties style blouse. 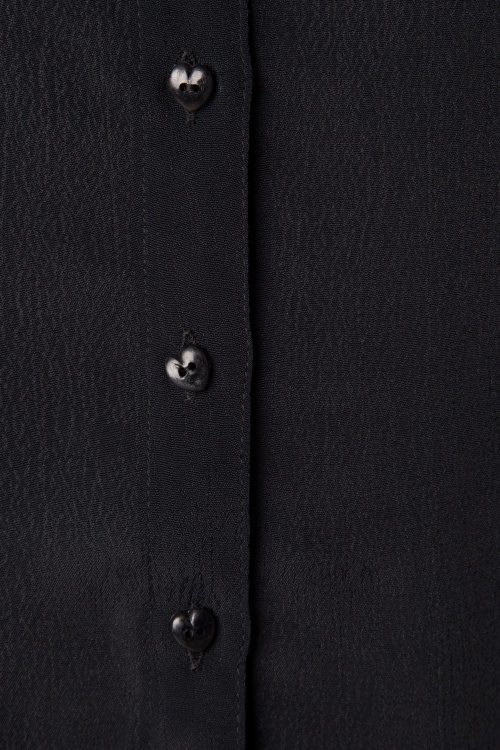 Finished off with a row of cute black heart shaped buttons, so cute! The blouse is cut rather narrow at the bust, ladies with a smaller bust will definitely find their swing in this beauty!